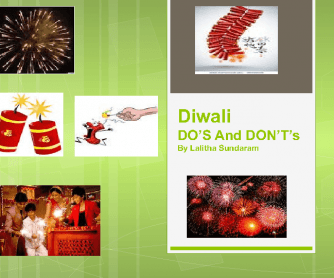 Diwali is a festival which originated in India but celebrated nowadays in many countries. It is called the festival of lights and is celebrated by lighting many lamps and bursting fire crackers. 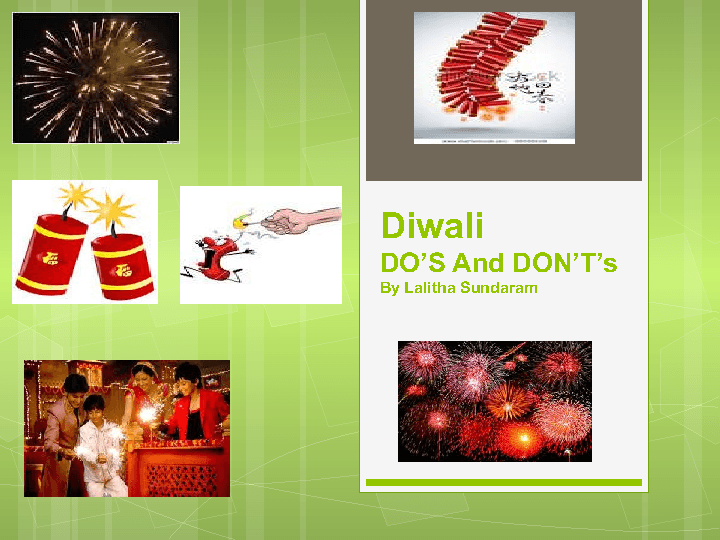 This presentation is to empahsise the need for safety when handling lights and crackers.